This rollicking yarn in picture book disguise is a lively celebration of alliterative Aussie bush slang, dogs and mateship. 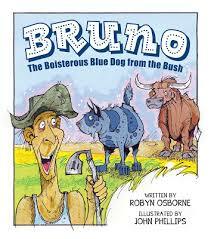 Boldly illustrated by Phillips in a style reminiscent of lively newspaper cartoon comic strips, Bruno is a story about a blue dog and his human mate, Bob. They are a bit rough and rudimentary but together share a bonza life until one day Bob has a landfall win. The subsequent shift into the high life tests Bob and Bruno’s friendship. Osborne has done a brilliant job introducing kids to just about every single ‘b’ word in the dictionary and then incorporating them into a coherent and comical story about best buddies sticking together. Great classroom fun. McKinnon’s distinctive illustrative style is the perfect match to this hilarious dialogue-based exchange between two rocks determined to make it to the shops for … you guessed it… a sausage roll. It won’t matter a jot if your four-year-old has no clue who ACDC is or understands what a musical parody is because this book is laugh out-loud funny all by itself. Outrageously good fun for adults to read with their young charges, It’s a Long Way to the Shop is a beaut homage to classic rock legends, adventure, friendship, self-awareness, tenacity and of course one of my favourite Aussie snacks – the sausage roll. Wrap your laughing gear around this one soon! This is another one of those picture books that innocently features something most of us feel negatively towards – in this case bare-butted baboons – then cleverly transforms it into something we can’t get enough of. 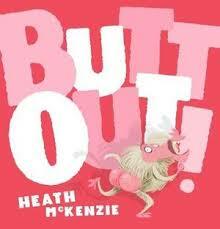 McKenzie’s latest self-illustrated title is brimming with brazen imagery from the get go. Pages are full of strong solid colour allowing each animal character plenty of limelight. The premise is simple, blatantly barefaced or rather bared-bummed, Baboon refuses to cover his bottom up. The other animals are aghast and beg him to put pants on. His cheek ultimately surmounts his sass in this funny collection of word play and extremely pink cheeks that littlies will delight in. 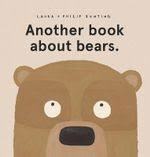 This postmodern picture book invites readers to appreciate life from an overworked storybook bear’s point of view. He’s sick and tired of having to appear in nearly every single children’s tale so attempts to find a replacement character. Despite suggesting all the animals he knows, no one else quite fits the bill like a bear does because bears are ‘just right’. Luckily, for us, the narrator has an idea that pleases everyone, Goldilocks included. Philip’s unique, one-set-of-eyes-fits-all illustrations are a complete crack up, and their sublime humour belies Bear’s desperate need to have a break. 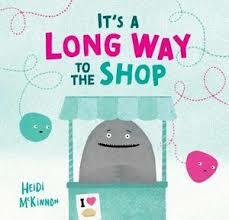 Thoroughly engaging hilarious fun to share with anyone three and up. Ever had a body part you are not fond of and a desperate desire to conceal? This is not a problem children dwell on much but they will be able to appreciate Edward Giraffe’s dilemma about his neck, his long, extremely noticeable neck. No matter what measures he takes to cover it up, it’s still there. Cyrus, the tortoise has similar neck issues. Like Edward, he tries to overcome his physical shortcomings to no avail; he still can’t reach the bananas because of his excessive lack of neck. Together they discover the sum of their perceived weakness actually makes them stronger and a new friendship forms allowing them to feel good about themselves. This refreshingly droll story acknowledges the desire all children have to blend in with the crowd whilst showing them that different is perfectly ok and useful to boot. 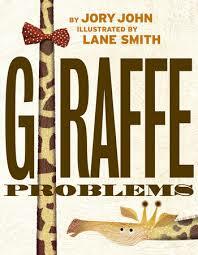 Giraffe Problems is a lovely tale of friendship and self-acceptance. For lower primary aged readers. 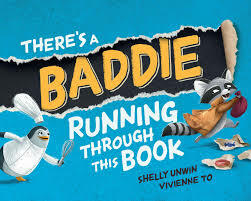 This book is rife with baddies, or rather one small masked little bandit who is leaving gaping holes on every page as he pilfers scraps of To’s beautiful illustrations. He is quick and sneaky, too, dashing from one page to the next, sometimes up, other times down, always just one step ahead of the crowd, until he takes one wrong step…This is a book of fast paced rhyming fun encouraging kids to keep up with the pictures and explore their spatial awareness. Anyone from three years and up will get a kick out of this treat-nabbing baddie tale. It simply would not be Christmas in Australia without an ode or two to summer and this new picture book by Wagner and Jellet is a superb example of that. Beautifully bound in the brightest of bright summer hues, Why I Love Summer is a tribute to sprinklers and yellow grass, ice creams and backyard cricket, barbeques and crazy camping trips, sand in sandwich picnics and red shoulders. It’s family and neighbours sharing long summer nights together. It’s the horror of council pools and crowded beaches and relaxed bedtimes and it’s ice cream o’clock any time of the day! Everything described and drawn in this book not only epitomises a typical Aussie summer, it captures it in a way that all of us can relate to, remember and appreciate. 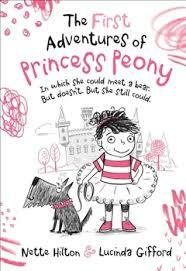 There is a feast of detail on each page, inviting young readers to savour and explore. Many of the scenes and situations will be familiar to them too, which no doubt will evolve into family traditions they will eventually look back on and remember loving, too. 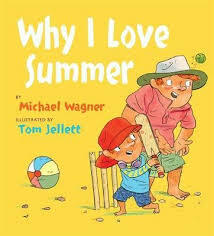 Why I Love Summer, is a brilliant gift to share with the whole family these holidays. My favourite bit? The outrageously delicious (and slightly disgusting) end pages! Viva la icy pole! 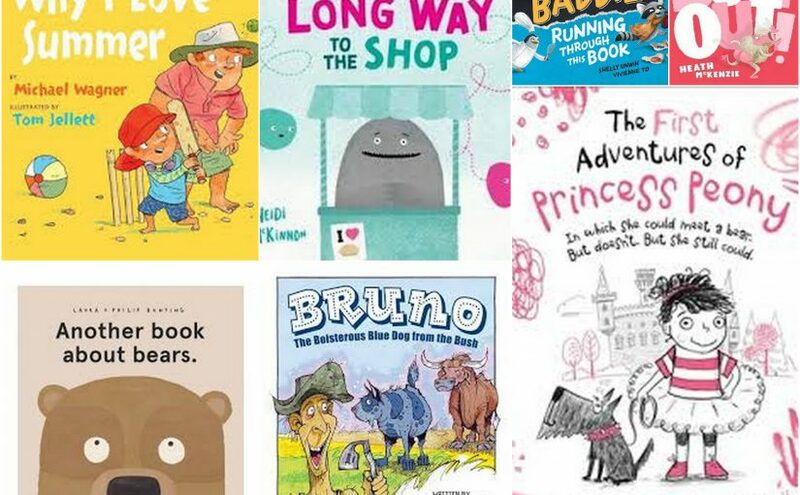 Discover more fabulous Christmas Book Bargains for children, here.